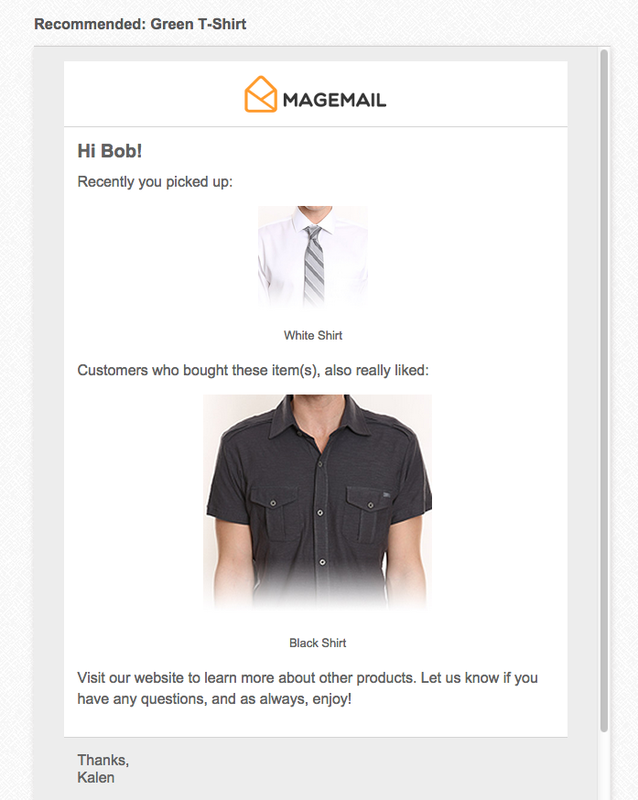 The product recommendation email can be sent out about a month out from the customer's purchase to highlight related products to them. You've probably received something like this from Amazon before. The email trigger can rely upon a few different data sources to generate recommendations.